Jerry Saltz says his heart was racing when he bent over in front of a fountain outside New York City's Metropolitan Museum of Art to commit an act of guerilla vandalism. The renowned New York Magazine art critic had just spent several hours enjoying the newest exhibit at his "favourite museum in the world" when he papered over the inscription "David H. Koch Plaza" with the words "Climate Change Denier Plaza." "I think I had hysterical blindness. I really didn't know what was going on around me. I was just lost for that moment," Saltz told As It Happens host Carol Off. "People started applauding and cheering, and I stood up, took a picture of it, and bunches of people starting taking pictures of it. And then I was terrified and walked away and got on the subway and went back downtown." Despite scurrying off after his act of defiance, Saltz stands by it. "I'm an art critic. I'm in love with this museum. I understand it's hard for museums to get by and they have to have money — but I don't want them to sell their name," he said. 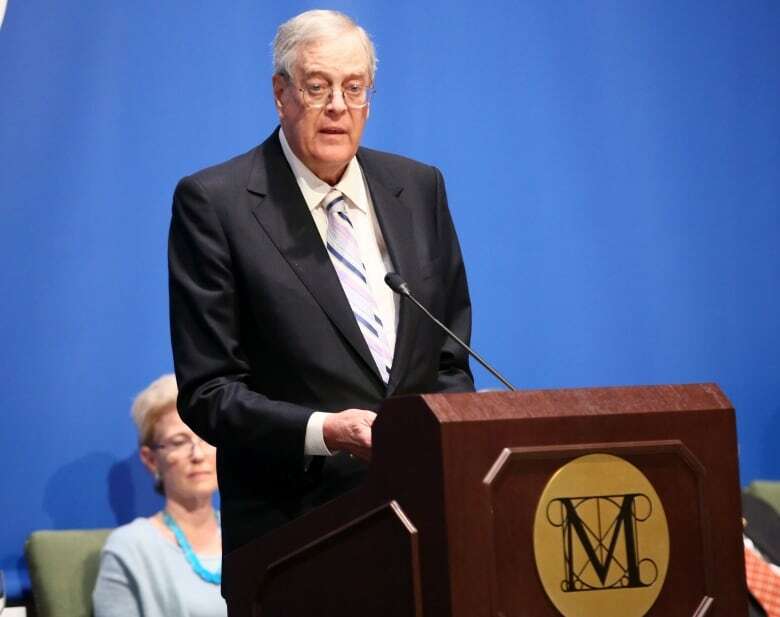 Koch — the billionaire oil tycoon who co-owns the multinational corporation Koch Industries with his brother Charles — footed the entire $65-million US bill for the construction of the Met's plaza. He is a well-known philanthropist who funds several major charities, artistic institutions and museums. But his benefactors also include several right-wing organizations linked to climate change denial. A 2012 Drexel University study named Koch Industries as one of the world's top funders of climate denial groups between 2003 and 2010. "It's fantastic that he gives his money to art. I am glad," Saltz said. Saltz is not calling on the Met to cut ties with the oil billionaire. But he is adamant: "It's not the David H. Koch Plaza. It's the Metropolitan Museum of Art Plaza." Saltz's sign remained on the fountain for several hours after he fled the scene, but was removed later that evening, he said. "Being critical of art or its institutions is a way of showing art respect," he said. "I love and respect the Met enough to take this very seriously." The Met declined to comment when contacted by As It Happens. But Saltz said they haven't given him any trouble. 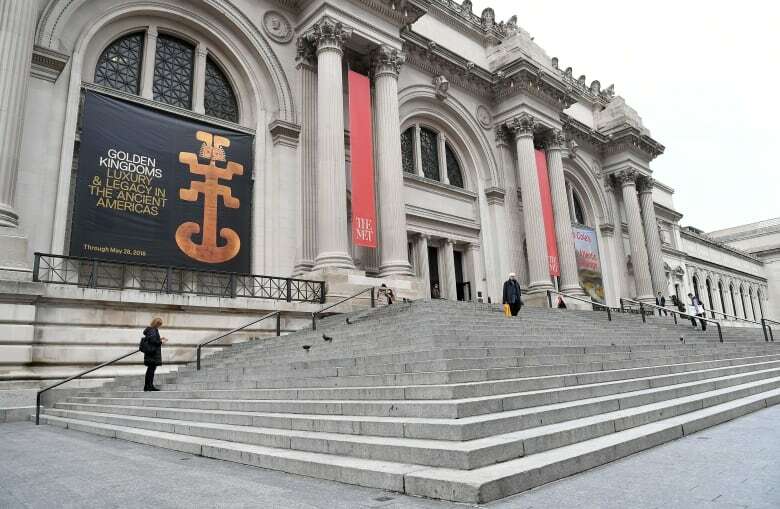 "Had the Met said, 'You're banned from coming back to this museum,' I had already decided I was going to go the next day and lie prostrate on the top step and beg the Met to take me back," Saltz said. "I can't live if living is without the Met."